View EFF's new Map of Domestic Drone Authorizations in a larger window. Today EFF posted several thousand pages of new drone license records and a new map that tracks the location of drone flights across the United States. These records, received as a result of EFF’s Freedom of Information Act (FOIA) lawsuit against the Federal Aviation Administration (FAA), come from state and local law enforcement agencies, universities and—for the first time—three branches of the U.S. military: the Air Force, Marine Corps, and DARPA (Defense Advanced Research Projects Agency). While the U.S. military doesn’t need an FAA license to fly drones over its own military bases (these are considered “restricted airspace”), it does need a license to fly in the national airspace (which is almost everywhere else in the US). And, as we’ve learned from these records, the Air Force and Marine Corps regularly fly both large and small drones in the national airspace all around the country. This is problematic, given a recent New York Times report that the Air Force’s drone operators sometimes practice surveillance missions by tracking civilian cars along the highway adjacent to the base. The records show that the Air Force has been testing out a bunch of different drone types, from the smaller, hand-launched Raven, Puma and Wasp drones designed by Aerovironment in Southern California, to the much larger Predator and Reaper drones responsible for civilian and foreign military deaths abroad. The Marine Corps is also testing drones, though it chose to redact so much of the text from its records that we still don't know much about its programs. 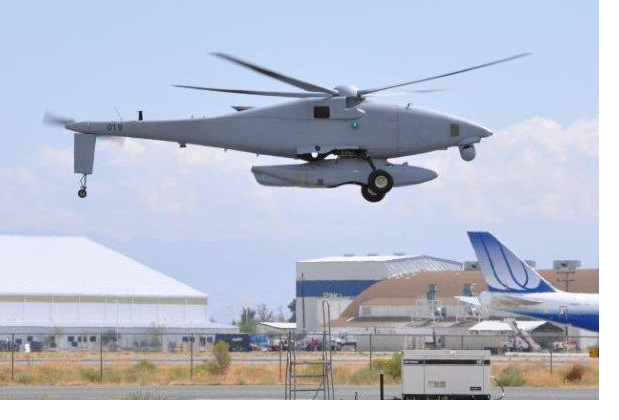 Perhaps the scariest is the technology carried by a Reaper drone the Air Force is flying near Lincoln, Nevada and in areas of California and Utah. This drone uses "Gorgon Stare" technology, which Wikipedia defines as “a spherical array of nine cameras attached to an aerial drone . . . capable of capturing motion imagery of an entire city.” This imagery “can then be analyzed by humans or an artificial intelligence, such as the Mind's Eye project” being developed by DARPA. If true, this technology takes surveillance to a whole new level. Another scary aspect of the Air Force's drone program is the number of times Predator and Reaper drones have crashed. The Washington Post wrote about crashes at civilian airports abroad a few days ago, and the Air Force presents some statistics on actual incidents and the potential for crashes in New Mexico in a document titled "Operational Risk Analysis of Predator/Reaper Flight Operations in a Corridor between Cannon AFB and Melrose Range (R-5104A)." This document notes that "8 incidents [involving Predators] occurred over a period of 79,177 flying hours." (p. 8). 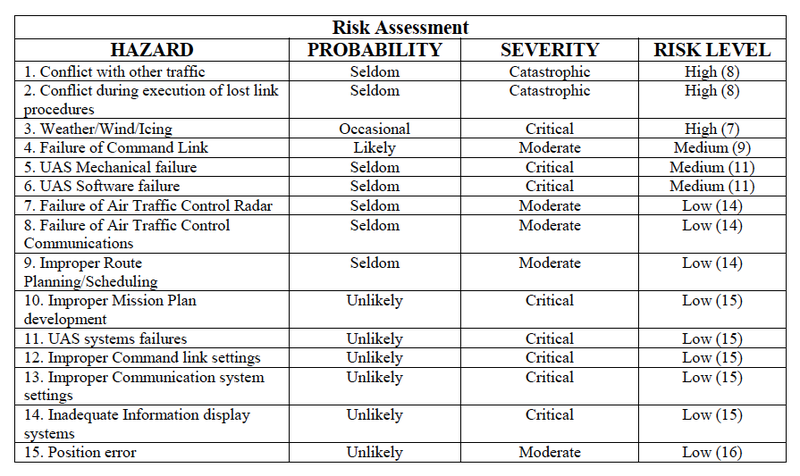 A risk analysis table from the report is below. 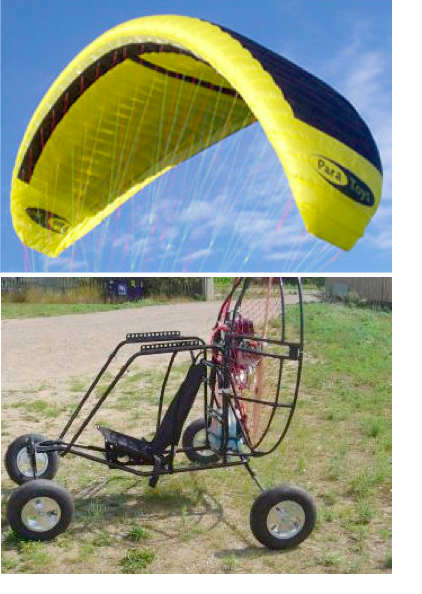 On a possibly lighter note, DARPA's 2008 drone looks more like a modified flying lawnchair (see picture to left) than an advanced piece of technology. 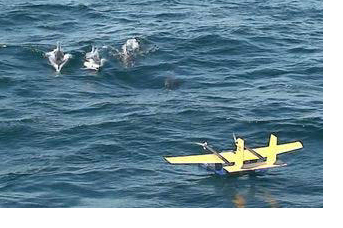 As DARPA notes in its application, this drone has been used recreationally, though probably with someone sitting in it. The Gadsden Alabama Police Department also wanted to use its drone for drug enforcement purposes like conducting covert surveillance of drug transactions, while Montgomery County, Texas wanted to use the camera and “FLIR systems” (thermal imaging) on its ShadowHawk drone to support SWAT and narcotics operations by providing “real time area surveillance of the target during high risk operations.” Another Texas law enforcement agency—the Arlington Police Department—also wanted to fly its “Leptron Avenger” drone for narcotics and police missions. Interestingly, the Leptron Avenger can be outfitted with LIDAR (Light Detection And Ranging) technology. While LIDAR can be used to create high-resolution images of the earth’s surface, it is also used in high tech police speed guns—begging the question of whether drones will soon be used for minor traffic violations. More disturbing than these proposed uses is the fact that some law enforcement agencies, like the Orange County, Florida Sheriff's Department and Mesa County, Colorado Sheriff, have chosen arbitrarily to withhold some or—in Orange County's case—almost all information about their drone flights—including what type of drone they're flying, where they're flying it, and what they want to use it for—claiming that releasing this information would pose a threat to police work. This risk seems extremely far-fetched, given that other agencies mentioned above and in prior posts have been forthcoming and that even the US Air Force feels comfortable releasing information about where it's flying drones around the country. Luckily, these records show the FAA is still vigilant about safety. The agency denied Otter Tail’s license application because the county couldn't meet the FAA’s minimum requirements for pilots and observers and presented an "unacceptable risk" to the National Airspace System. The FAA also denied the Georgia Tech Police Department’s application because its drone—the Hornet Micro—was not equipped with an approved sense-and avoid system, even though Georgia Tech wanted to fly it in the middle of a major helicopter flight route. However, once again, the records do not show that the FAA had any concerns about drone flights’ impact on privacy and civil liberties. This is especially problematic when drone programs like Otter Tail’s appear on first glance to be benign but later turn out to support the same problematic law enforcement uses that EFF has been increasingly concerned about. The FAA recently announced it wants to slow down drone integration into US skies due to privacy concerns. We are hopeful this indicates the agency is finally changing its views. In the meantime, these records further support the need for full transparency in drone licensing. Before the public can properly assess privacy issues raised by drone flights, it must have access to the FAA’s records as a whole. It's been over a year and a half since we first filed our FOIA request with the FAA, and we're still waiting for more than half of the agency's drone records. This is unacceptable. Also, law enforcement agencies with active drone licenses like the Orange County Sheriff's Department should not be able to withhold all important information about their drone flights under a specious claim that revealing the information could interfere with a law enforcement investigation. If a huge federal agency like the US Air Force can be up front about when and how it's using drones, so too should the large and small law enforcement agencies and other public entities around the country. Without this information it's impossible to fully assess the issues raised by drone surveillance. To download and review any of the documents, follow this link and click on the "FOIA Documents" tab in the middle of the page.